In the summer of 2013, The Daily Show host Jon Stewart took a sabbatical from the long standing political satire program to write and direct his filmmaking debut ROSEWATER. The project on the surface comes across as your run-of-the-mill story of modern political oppression and how hope will always triumph, and it many ways it is this, but Stewart puts the story into a perspective that’s both thoughtful and earnest. ROSEWATER is adapted from Maziar Bahari’s 2011 memoir Then They Came For Me: A Family’s Story Of Love, Captivity, And Survival. The film picks up as Bahari (Gael García Bernal) travels back to his native country report on the 2009 Iraqi Presidential election for Newsweek. Bahari is subsequently detained for nearly four months by the Iranian government for fear he is an American spy, but where would they get this notion? Here is where Stewart’s motive for making the film comes into play. Just before Bahari’s detainment, he appeared on The Daily Show in a spoof where an inept correspondent claims the journalist (Bahari) is indeed a spy. 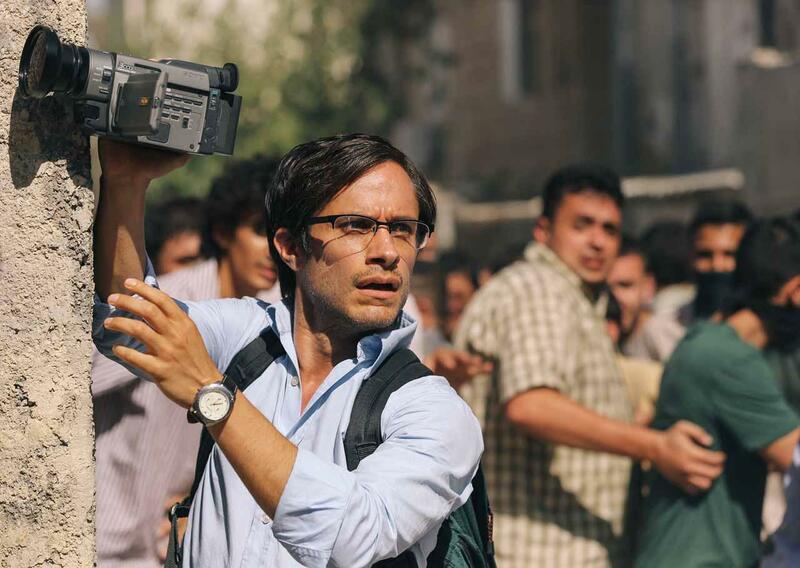 Gael García Bernal plays Maziar Bahari in Jon Stewart’s Rosewater. Photo courtesy of Open Road Films (II) . Stewart doesn’t depict the imprisonment in graphic detail, but the duration does come across as debilitating. And Bernal’s performance slowly articulates the psychological effects that this type of ordeal would have on an individual. 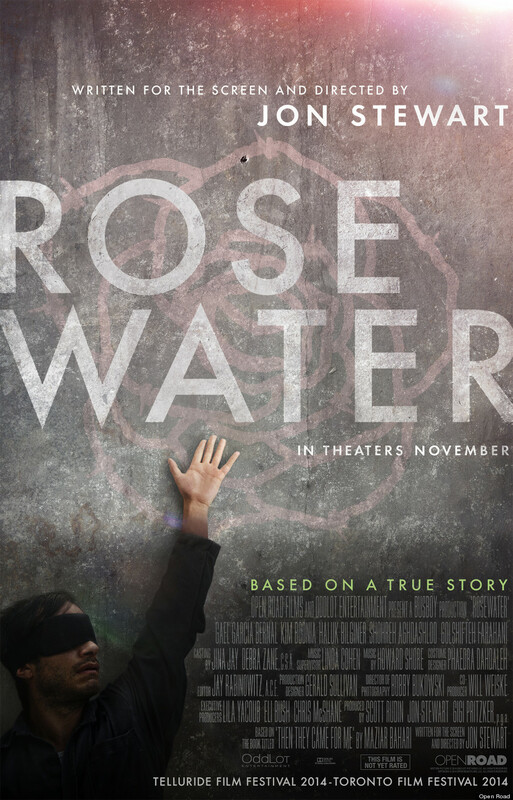 In typical Stewart fashion ROSEWATER turns controversial political events into boisterous humor. This approach doesn’t detract from the sentiment of the film. Frankly, it’s a refreshing take upon the political drama – many of which treat themselves as self-serious prestige pictures, such as Angelina Jolie’s IN THE LAND OF BLOOD AND HONEY and last year’s CLOSED CIRCUIT to name a couple. The comedy is utilized to engage the audience in the experience with Bahari, but more importantly the laughs aren’t meant to taunt. ROSEWATER doesn’t take a direct position against the 2009 Iranian elections – even though it’s obvious where the film’s allegiance lies – what the film really trying to communicate is encouraging the citizens of earth to take a stand against repression and absolute control of any kind.